Portable sinks are a must have for your event. Clean hands are a necessity for any event, especially for events involving food (which if you had good taste, would be every event). 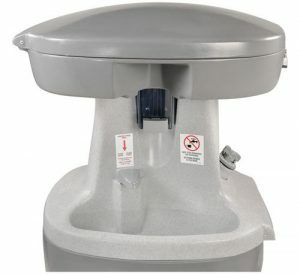 Rent A John provides portable sinks to its customers so that dirty hands become the least of their event worries. It may be easy to overlook, but hand washing stations can help you elevate your event or work site. According to the Center for Disease Control and Prevention, clean hands prevent illnesses and the spread of infection to others. Because we have a natural inclination to touch our face, germs enter your body through the eyes, nose and mouth via our hands where they then make us ill. Sanitation provided by these washing stations can also ultimately save money by reducing sickness spread around your work site.